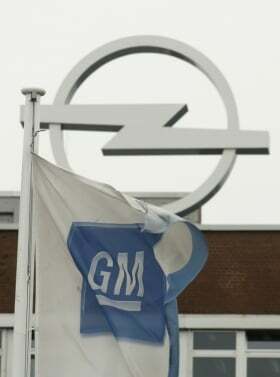 SOUTHFIELD, Michigan -- General Motors Co. sees "clearly deteriorating" sales and pricing in Europe's car market leading to restructuring across the industry, according to analysts who met with the automaker's management. Europe's vehicle pricing has "worsened significantly" during the past three to four months, Rod Lache, an analyst at Deutsche Bank, wrote on Friday in a research note on the meeting. Lache estimated the declines at $200 per vehicle. Analysts met with Dan Ammann, GM's chief financial officer, and James Davlin, treasurer of the Detroit-based automaker during a dinner in New York on Thursday. Ammann said Europe "feels different this time" compared with the sales declines in 2008 and 2009, according to Credit Suisse analyst Chris Ceraso. The GM executives said sales will not be buoyed this time - as they were previously - by government-sponsored scrappage-incentive programs because of the debt issues in the region, according to the analysts. Pricing also is under pressure, with Volkswagen cutting prices and taking market share, Ceraso said. The region seems to recognize plants need to be closed, but GM does not expect that to happen any time soon with elections in France, analysts said. "GM ... expects more substantial capacity reductions and by a broader (automaker) group, although timing is uncertain," Deutsche Bank's Lache wrote. In the interim, analysts expect more job cuts around the edges among the white-collar work force, and UBS analyst Colin Langan said shortened work weeks may be used by GM. GM told analysts that Europe is a "clearly deteriorating environment" and "very tough," Peter Nesvold, a New York-based analyst for Jefferies & Co., wrote in a report. "Pricing appears likely to trend lower until either volumes rebound or capacity exits the industry," Nesvold wrote. "Neither seems to be likely in the near term." GM spokeswoman Renee Rashid-Merem, confirming the dinner, said, "We take opportunities to meet with key investors and analysts to provide perspective on the strategic direction of the business and the progress the company is making." European auto executives have predicted a drop in deliveries of about 5 percent this year in the region, the fifth straight annual decline. GM lost $747 million in Europe last year before interest and taxes. The automaker will take two to three months to announce a restructuring plan for the region, Karl-Friedrich Stracke, head of GM Europe, told reporters March 6 at the Geneva auto show. GM will have to spend at least $1 billion to revive its Europe operations, according to estimates from three analysts last month. The company has lost $15.6 billion in Europe since 1999. GM is paying about 320 million euros ($420 million) to acquire 7 percent of PSA/ Peugeot-Citroen, Europe's second- largest carmaker, according to a March 5 regulatory filing. The two companies are forming an alliance for purchasing and vehicle development to reduce costs by about $2 billion annually within five years. "Investors have met the alliance with some skepticism and it is our view that the alliance does get to the crux of the issue, which is addressing overcapacity," Joseph Spak, a New York-based analyst for RBC Capital Markets, wrote in a report. "In GM's view, they supplied a modest amount of capital for a reasonable amount of upside but the payoff is years away."